Ah yes, another year, another back-to-school season. The time has come when children and their families line the aisles searching for every last item on their teacher’s “Please bring with you” list. But for some students, back-to-school shopping can be an incredibly stressful time. For many families, back-to-school shopping brings a whole new set of financial worries for the fall. However, we as a community can come together and support one another. 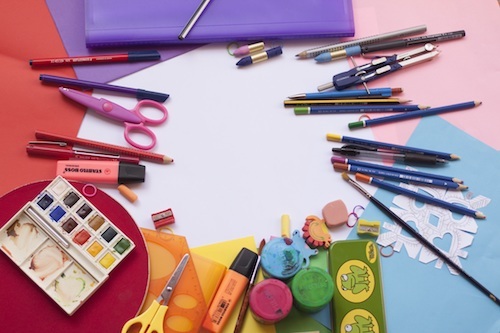 If you want to help make a difference and support children and families in need within your community, check out our list of school supplies you can donate. 1. Backpacks. Backpacks aren’t always thought of as school supplies, but many students can’t afford something to carry their supplies in. Consider giving a gently used or new backpack to a child in need for this upcoming school year. 2. Three-ring binders. Three-ring binders are always a necessity for school, so see if you can find some you can donate to a local school or nonprofit organization. 3. Notebooks. What better to go inside those three-ring binders than notebooks themselves? Whether they’re wide-ruled or college-ruled, notebooks are always needed. 4. Folders. Two-pocket folders are useful for students of all ages. Check out your local store to see how many you can find and give to your community. 5. Rulers. Many younger students often need quality rulers when working on homework. Rulers are a great supply that can help students through math and more. 6. Pencils. Every student—young and old—needs pencils. Mechanical versus traditional may be up for discussion, but your gift will be important no matter what. 7. Pens. To go along with the pencils, of course. 8. Markers. For more youthful students, using markers is a fun and creative way to learn. Even a few packs of donated markers can go a long way in making a student’s day. 9. Crayons. We all remember the social power crayons had in elementary school. Help students feel included by donating quality crayon boxes to organizations in your community. 10. Pencil box. What better place to keep all of these supplies than in their very own pencil box? Get creative and fun with the pencil boxes you pick out to give to students. 11. Scissors. We should not run with them, but we definitely need them. Scissors of all sizes are a great item to donate to local schools. 12. Index cards. These may be more necessary for older students, but still a great donation item to give to others. 13. Erasers. Because we all make mistakes. 14. Boxes of tissues. You may wonder, “Why?” But the teacher thinks, “Thank you!” Tissues are an important part of any classroom. 15. Colored pencils. Finally, have fun with your donation by picking out beautiful colored pencils to give to a student in need. This list is only the beginning of items you can donate to schools and nonprofit organizations in your community. Pick some out next time you go shopping for an extra splash of altruism this back-to-school season.